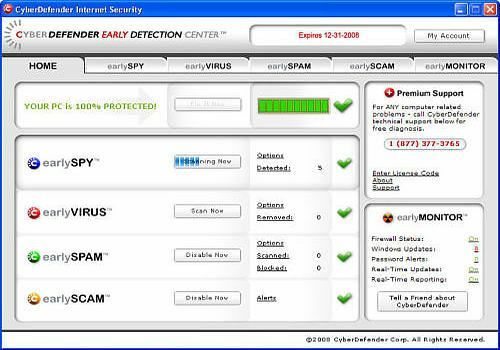 CyberDefender AntiSpyware removes Viruses for free and also alerts to threats from spyware, adware, spam, phishing and Internet identity theft. If your system is crashing, incredibly slow, filled with spam email, or covered with pop-up ads, you probably have spyware. CyberDefender will catch what other security software companies miss! We will remove your viruses and let you know if you are infected with spyware for FREE! Free system scan.